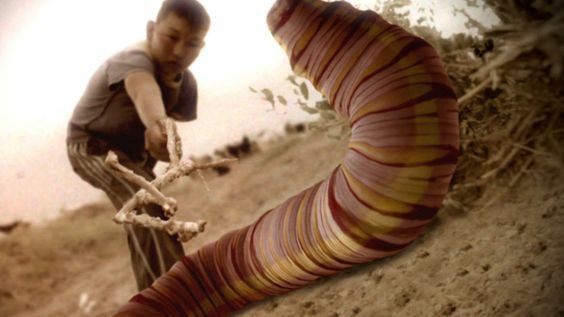 Mongolian Death worms are found in Gobi desert and many believe it to be a cryptic that is it is true only in legends while other believes that Mongolian death worms are real. 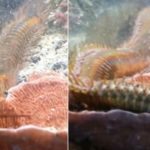 They are four to five feet long creature with red color and no visible mouth. Those who have faced it say that they spit poison on the creature and whether its s animal or man they can die from this poison. 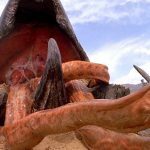 Here are 10 such sightings that show that Mongolian Death worm is not a legend but these dangerous creatures exists. (1) First sighting of this deadly worm dates back to 1927 when American paleontologist Roy Chapman Andrews first saw the tail of the worm. He didn’t believed it to be the tail and further research to know about it. 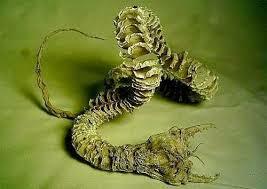 There were locals who described this creature as Allghoi Khorkhoi or the intestine worm. (2) It is believed that they live deep in the Gobi desert and hence cannot be viewed easily by others. 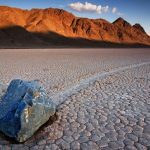 However, locals of Gobi desert visiting the interiors of the desert say that they have sighted a red creature that looks like the intestine. 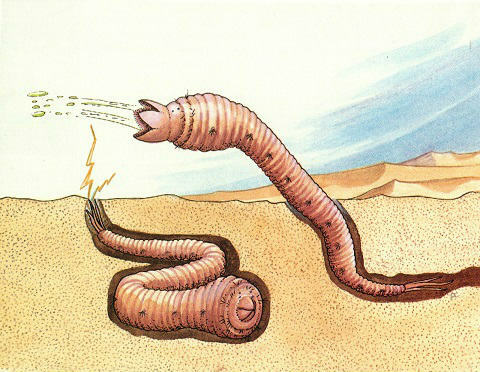 (3)Another expedition was conducted in between 1946 to 1949 where they went deep inside to find out the existence of the Mongolian death worm and compare their own sightings with the one described by the locals. 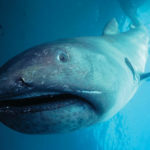 Yuri Orlov mentioned that he witness such a creature. 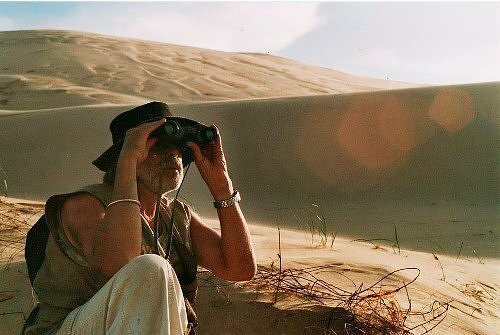 (4) In the late nineties Ivan Mackerle conducted many expeditions in Gobi desert with the hope of getting a glance of the deadly worm after listening about it from his Mongolian pupil. His expeditions sets a good example where something positive were found. 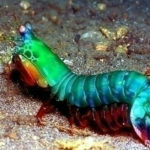 (5) It is reported that most of the time it lives under ground. However in June and July when it rains it comes to the surface. 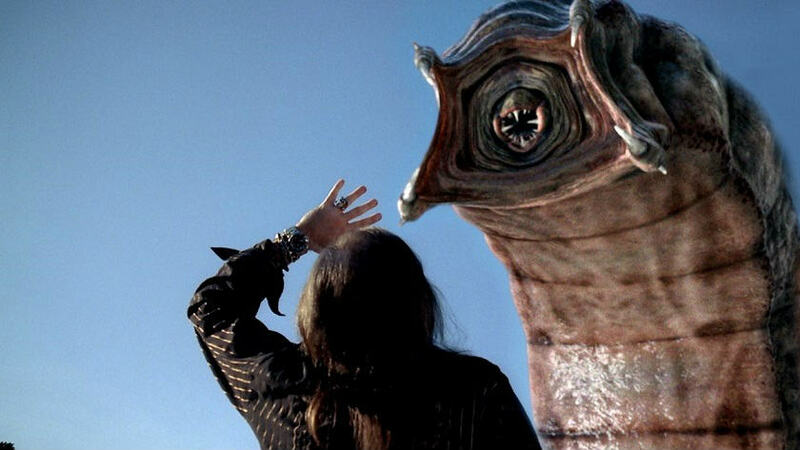 Many locals have seen Mongolian death worm during that time. They believe that it can give electric shock to someone who is nearby. (6) Another story is famous among the nomads that once a young boy was followed by the worm and near his home his dead body was found. It was believed that He died as he touched the worm. Looking at the trail on the sand his family went to take ‘revenge’ from the animal that did that, but they also did not return. 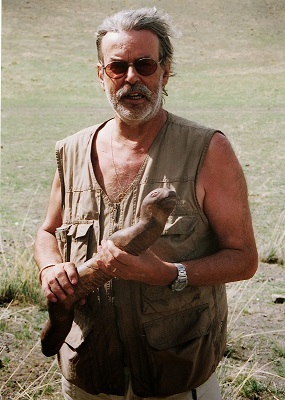 (7)In 2005, Richard Freeman a cryptologist conducted an expedition to find out if there exists Mongolian death worm. 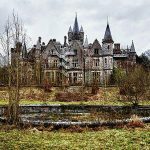 They found out that a whole village was shifted from its position when villagers heard about the sighting of the venomous animal. 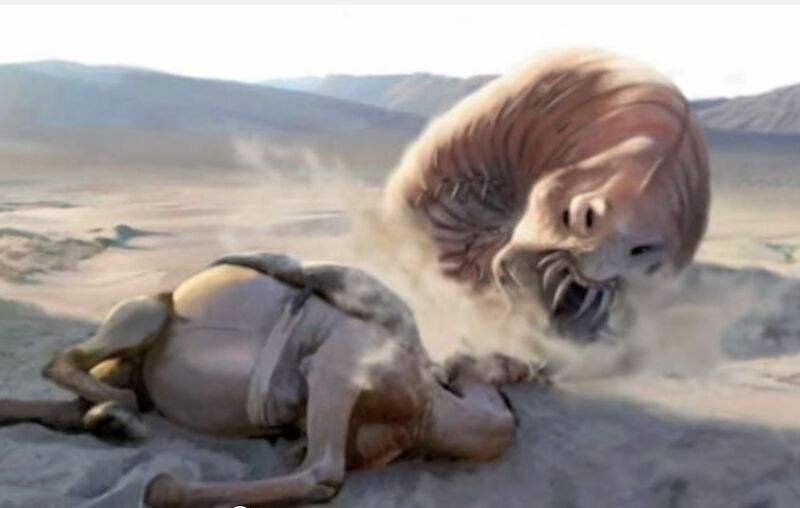 (8) There were some sightings of Mongolian death worm during 2013 that even caught in the camera. 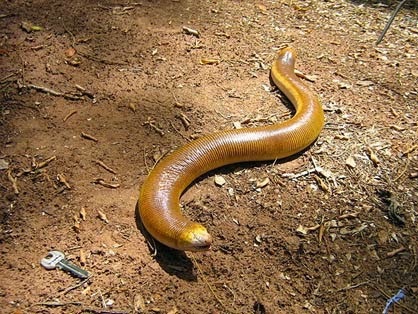 However, people believe that it is just a normal worm and not Olgoi khorchoi as it did not had red color. 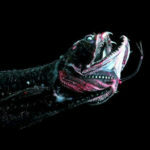 (9) During the nineteenth century it is said that there were more sighting of this venomous worm that looks like cow’s intestine, difference being that it killed other living things! Mostly local nomads who use to go deep in the western Gobi desert has seen this intestine like worm. (10) In one of the expedition by Freeman, their local interpreter told them the incident that happened to another team of expeditors that traveled to Suji’s home village. One of them was poking the sand with the help of iron rod and then suddenly feels off! Upon reaching him, he was found dead. Others felt a sudden shake in the ground and then saw something round coming out of sand. They ran with their life. 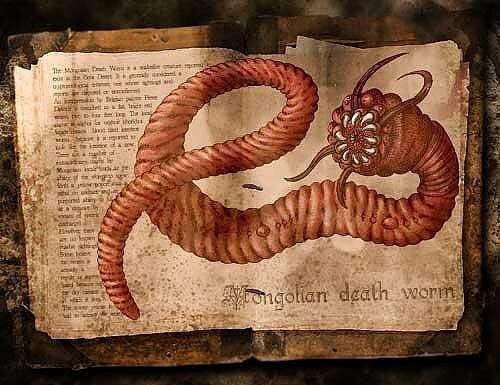 After Chengiz Khan from Mongolia, Mongolian death worm seems to be the most interesting and deadly thing that exists in the place.